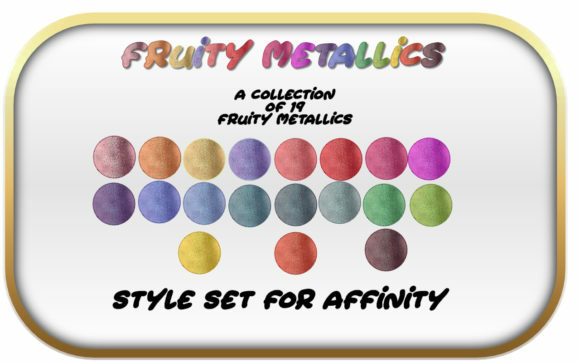 Shimmery soft coloured Metallics for Affinity – as these are Styles you can use them in ALL Affinity programs! A collection of 19 colors and shades for your design needs.Install into each program to ensure product continuity through the design process. You will receive 1 x afstyles file in zipped format. 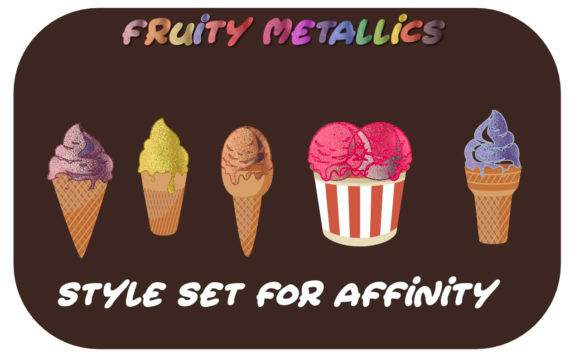 Just uncompress, olpen your Affinity program and in the Styles Tab Import Styles Category.